May 10-12, 2016 0n Pensacola Beach. This conference is managed by the same Fire Service leaders that manage HROC. Price is currently $250. $300 starting in January. Great Conference for the Acting Officer, Officer, Chief, and Senior Chief. Managing the Mayday will be one of the many topics covered. Rooms for $149 at the Hilton. 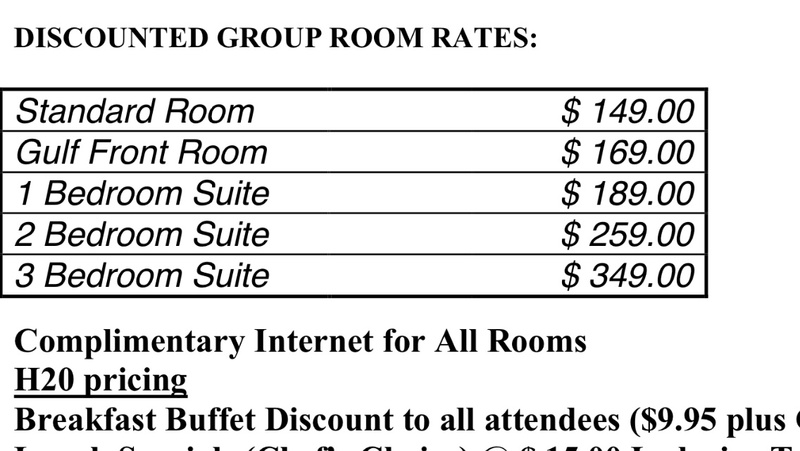 Group Lodging code is COB. Bring your wife and make it a vacation on the beach. There will be classes/activities for the wives to do. Speakers to include: Mike Terpak ” DC Jersey City”, Mike Lombardo “Buffalo”, Mike Ciampo “FDNY”, Ray McCormack “FDNY”, Mark Von Appen “Fully Involved”, Curt Isakson “BC Escambia”, Todd Edwards “Chief Atlanta Fire”, Ric Jorge “Palm Beach”, Nick Martin “Traditions Training”, Chief Bob Buns “FDNY” and a few more.. There will be additional classes each day. We will also have classes for spouses. Anne Gagliano, Author and Wife of Seattle Captain Mike Gagliano frequently writes and speaks on the challenges of firefighter marriage. Chief Burns will cover Leadership in the Real World. Link to article written by Chief Burns. 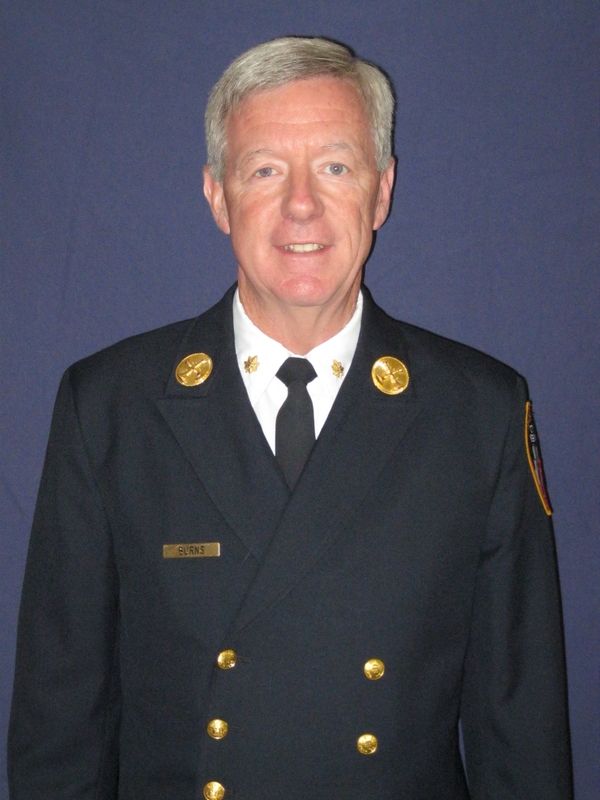 Chief Burns is a retired Battalion Chief from the FDNY. Chief Burns was the Director of the New York State First Line Supervisor’s Training Program at the FDNY from 2007 until 2010. Traditional leadership training classes provide insight and knowledge. They tell us what we should be but often fail to address how to translate this knowledge into action. Effective leadership involves not just knowing things but also having the courage, motivation, and skill to do them. In addition to discussing current leadership research and psychology, the workshop focuses on translating leadership theory into behaviors and skills the students will be able to use on the job in their home departments every day. The curriculum is modeled after the leadership training programs attended by newly promoted lieutenants and captains in the Fire Department of New York. Mike Lombardo, Ray McCormack, Curt Isakson, Nick Martin, Mark VonAppen, Ric Jorge, and a few others will speak over the three day Command/Leadership School. We will offer five different tracks based on your position in the fire service. FREE SHUTTLE from the Pensacola Airport. You will not need a car once on Pensacola Beach. We will provide FREE SHUTTLE to and from Airport. You will want to arrive on Monday May 9 and depart on Friday May 13. We encourage attendees to bring their spouse/family. There will be activities for your spouse while the conference is in session. We will provide FREE PADDLE BOARDS and other beach activities. Organized nightly dinner/social and discounted prices on food/drinks. Rooms will start between $100-$150. We will have New Speakers for 2016 and additional breakout sessions to include Senior Chief Classes. We will cover from step-up Officer to Fire Chief responsibilities. This will not just be a Tactics and Leadership Conference. We will cover budgets, Human Resource Issues, Contract/Labor Issues, and many more topics not found at other fire conferences. All of this on Pensacola Beach during the best time of year. The basic unit in the fire service is not the firefighter but rather it’s the fire company. The person in charge of that unit, the company officer, is vital at the fire scene as well as in the firehouse. This class will help company officers and aspiring company officers to be prepared for the challenges they face. The class will also help prepare you for higher level Command positions both on the fire-ground and in your department. 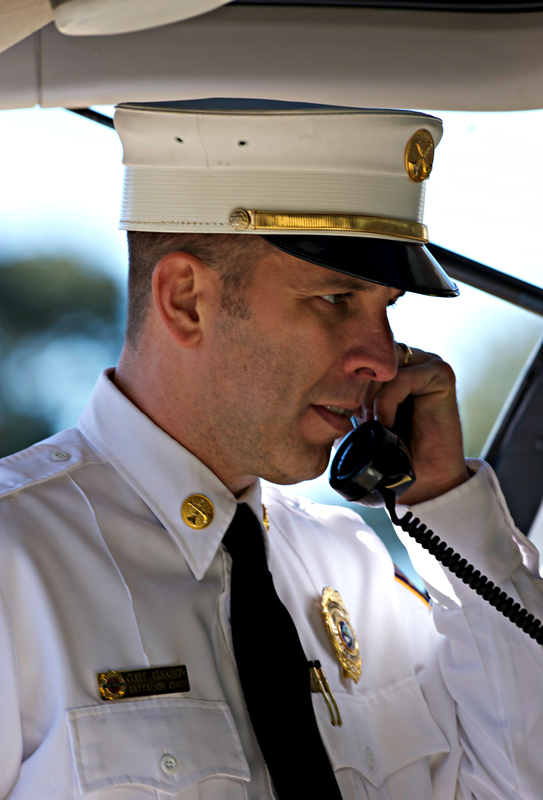 Everyday Fire Command Officers are faced with decisions, these decisions range from quick action items on the fire ground that affect the lives of those we are sworn to protect and our firefighters who carry out our decisions, to decisions that can end the career of a firefighter due to personnel actions. All of these responsibilities are present even while many of us carry out our mission while faced with dwindling budgets. Topics to be discussed will include how to prepare for that big leap, regardless your route to promotion in a career department or in a volunteer unit you need to be ready. What to expect when you take command how you can transition from being the new officer to training your company and having ownership of the unit. This class will also look at the job of a Command Officer from the firehouse to the fire-ground. We will look at what it takes to get ourselves ready to protect the men and women who work for us as well as the citizens who count on us everyday. We will look at simple In-Box items and go through these to illustrate how we are pulled in many directions but need to maintain focus on the next emergency. Finally and why we are all here, how to operate aggressively, effectively, and safely on the fire ground. 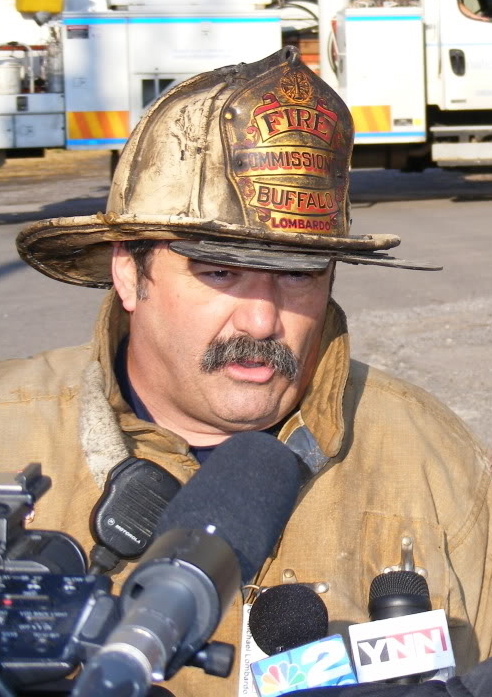 MIKE LOMBARDO is a 38-year veteran of the fire service and was the Commissioner/Chief of Department of the Buffalo Fire Department from Jan 2006 to Jan 2010. He is a New York State fire instructor and was a member of the development team for the New York State Firefighter Survival and Rapid Intervention programs. He was a lead instructor for FDIC live fire training. He is a two time Firehouse Magazine Heroism Award recipient (1988 and 1994) and the recipient of the FDIC 1999 Training Achievement Award. 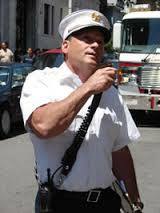 Mike provides consulting services around the United States, recently completing a review of the San Francisco (CA) Fire Department leadership as well as a year and a half long audit of the Boston (MA) Fire Department. Mike is a faculty member of the Fire Department Training Institute at Harrison College and the Fire Department Training Network where he presents and developed the Fire Command program. Mike currently operates with the Christiana and Rehoboth Beach Fire Departments in Delaware. He is a consultant and instructor on fire tactics, live fire attack, firefighter survival, and command and fire department operations throughout the United States. Constructively Confronting Difficult Issues- Are you Lead-worthy? Are you conditioned to lead- physically/mentally? Are you preparing to lead? Are you positioned to lead? What and who are you modeling? What influenced you positively and negatively? Your role as an officer is critical to those you serve and those you serve with. Your position can inspire others and earn you respect. Whether on the fire ground or in the station team dynamics play an important role in your success and influence as an officer. In this role there will be times that there is unavoidable conflict. There are many misconceptions about conflict and the following causes many conflicts to fester and even escalate. And that misconception is “Most conflicts resolve themselves over time.” Yeah, right … if only that were true! Don’t you just wish that all interpersonal problems were self-repairing? Things would be so much easier. We probably wouldn’t lose as much sleep, or have as many knots in our stomachs, or have as many days when we go home feeling beat up and emotionally drained. There would be less tension … less stress. We wouldn’t need the courage to confront issues. We wouldn’t need the skills and strategies necessary to solve problems. And one more thing: We wouldn’t be in the real world! This interactive and informative discussion will center on the critical role you play in confronting unavoidable issues and how to do so constructively using strategies to keep your crew members operating in a high performing manner. 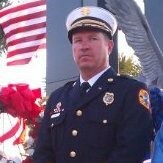 Battalion Chief Curt Isakson will cover Strategic and Tactical Command. Understanding the difference between the two and one type of command does not fit all incidents, nor does it fit all staffing levels. Chief Isakson works in a county department that only has one line chief officer on-duty for 664 square miles. Sometimes/most of the time, there will be no second chief to arrive and this can dictate your command functions. Curt will also cover Front Yard Leadership and the importance of setting the standard each and everyday. Curt will facilitate this three-day Command Officer Boot Camp that will cover leading in the firehouse, in the street, and getting the most out of your people. This is not only for new fire officers, but the most experienced officers who need to get involved in leading again and take their Command/Leadership abilities to a New Level..
You DO NOT WANT TO MISS this three day Professional Developmental Seminar. You can email countyfiretactics@hotmail.com for conference questions. Command Officer Boot Camp 2016 will be May 10-12, 2016 at the Hilton Gulf Front on Pensacola Beach. How can I sign up for this and have my department pay for it? I work with South Walton Fire District.